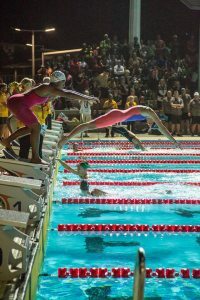 PAPUA New Guinea Swimming Inc. (PNGSI) hosted the 12th Oceania Championship from the 25-30 June, 2018 in Port Moresby, Papua New Guinea in partnership with PNG Sports Foundation. It was the Twelfth edition of the FINA sanctioned biennial championships under the direction of Oceania Swimming Association. 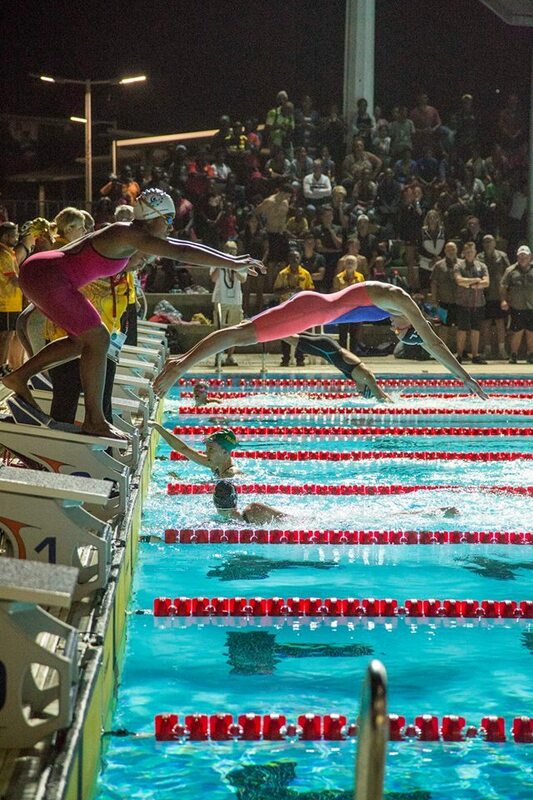 The pool competition took place at the Taurama Aquatic Centre over 4 days (26-29 June, and the Open Water 5km and 10km event took place at the Fairfax Harbour Naval base, (5km open water swim was held on the 25th June and the 10km open water swim was held on the 30th June). The aim was to host a well-run international competition for the 16 countries affiliated to Oceania Swimming Association (OSA) who attended. They were Australia, Hawaii, Northern Mariana Islands, Cook Islands, Marshall Islands, Palau, Tonga, Fiji, Papua New Guinea, Guam, New Zealand, Samoa, American Samoa, Federated States of Micronesia, Solomon Islands, and Vanuatu. The Papua New Guinea Swim Team was made up of 23 swimmers from Lae Amateur Swimming Club (LASC) and Boroko Amateur Swimming Club (BASC) and PNG Masters under the guidance of Manager Judith Meauri and Team Coaches Shane Akara (LASC), Joe Meauri (BASC) and Australian Coach Rick Van Der Zant. FINA sanctioned the 12th Oceania Championships as a qualifying competition for 2018 Youth Olympics and 2019 FINA World Championships. The Swimming Championships opened to a diverse cultural ceremony on Monday evening 25th June, 2018. The Opening Ceremony showcased a cultural feast of traditional dances performed by five different cultural groups from within PNG which captivated and enthralled all. A spectacular firework display provided by Lamana Hotel and the traditional dancing marked a joyous opening ceremony. THE competitive atmosphere around the pool, with the teams chanting their ‘war cries’ each day and supporting each other to give their best set the platform for some good competition for our athletes. Great moments are born from great opportunities to excel and do your best and the 12th Oceania Championships provided the stage for this to happen. PNG male swimmer Sam Seghers was awarded a Bronze Oceania Swimming Championship medal in the Male 50m Freestyle event clocking a finish time of 23.90. Congratulations Sam. THE 12th Oceania Swimming Championships saw the introduction of the Pacific Islands Medal. The Oceania Swimming Championship Gold, Silver and Bronze Medal were awarded to the first 3 place getters of each event. The inaugural Pacific Island’s Medal was introduced as an incentive for Pacific Island Country swimmers to receive a medal if they swam into a final and swam a Pacific Island Qualifying time in the event they competed in. It was envisioned that it would lift the competition profile of the event and raise the bar for our athletes from the Islands to achieve success in the pool.